Many people assume that eating better—whether to lose weight, alleviate health problems, or simply improve how they feel—means eating low-fat, boring, and tasteless food. Professional chef Nabil Boumrar and Certified Nutrition Consultant Caitlin Weeks blow that myth out of the water with their vibrant and healthy coastal cuisine. Mediterranean Paleo Cooking showcases a wide variety of creative recipes that are Paleo-friendly—no gluten, grains, inflammatory oils, dairy, or refined sweeteners. These flavorful dishes combine traditional food from southern Europe, North Africa, and the Middle East with the healthful principles of a Paleo diet. With over 150 recipes, two 30-day meal plans (one for general health and one for those following an autoimmune protocol), shopping lists, cooking tips, and more, Mediterranean Paleo Cooking helps readers become better cooks and more informed eaters. But more importantly, it turns healthy eating into delicious eating with enticing Mediterranean meals that every foodie will enjoy. 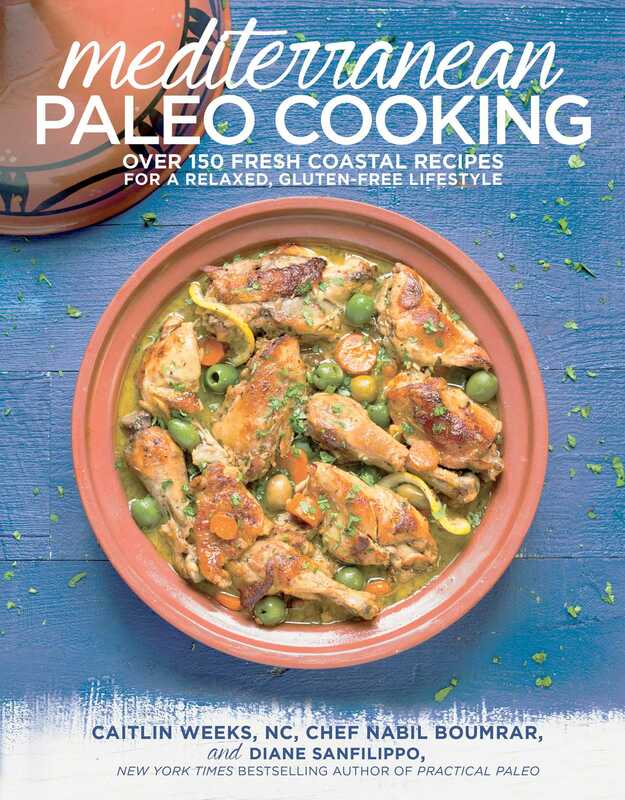 Over 150 Paleo-friendly recipes inspired by the relaxed coastal attitude and ingredients of the Mediterranean - all gluten-free, grain-free, refined sugar-free, and dairy-free. Mediterranean recipe favorites, recreated including: falafel, pita bread, moussaka, hummus, and biscotti cookies. "Mediterranean Paleo Cooking brings together a beautifully crafted book that's 3 parts cookbook with 1 part functional Paleo guide, with a dash of meal planning. Caitlin and Nabil have created something not only beautiful and tasty, but also pragmatic. Much like the diversity of cultures and cuisines in the Mediterranean region, this book contains a wonderful blend of dishes that dance across each vibrant page. If you're looking for a more tailored approach to Paleo with some seriously amped up meals, then this book is your one way ticket to exciting new flavors and exotic cuisines." – Hayley Mason & Bill Staley,, bestselling authors of "Make it Paleo,""Gather," and "The 30 Day Guide to Paleo Cooking"